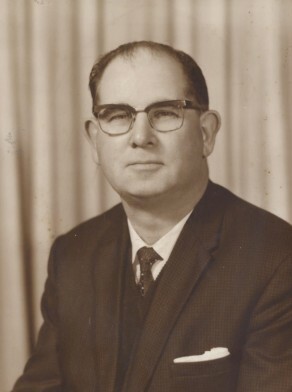 Francis (Frank) Patrick Moran was born at Redfern in 1915, son of Kieran F Moran and his wife Margaret E O’Gorman. He died at Edgecliff, NSW, aged 88, on 25 December 2003, survived by his son John and grandchildren. He was buried at St Ann’s Catholic Lawn Cemetery at Rookwood after a requiem mass at St Joseph’s Catholic Church, Edgecliff. Frank Moran lived at Paddington before moving to Albert Court, Edgecliff. At his death, mourners were requested to send donations to the St Vincent de Paul Society. Frank Moran was Alderman for Fitzroy Ward, 5 December 1959 to 13 November 1967, when the Council was replaced by a three-member Commission. Moran was a member of the Finance Committee and the City Planning and Improvements Committee from 1960 to 1967.